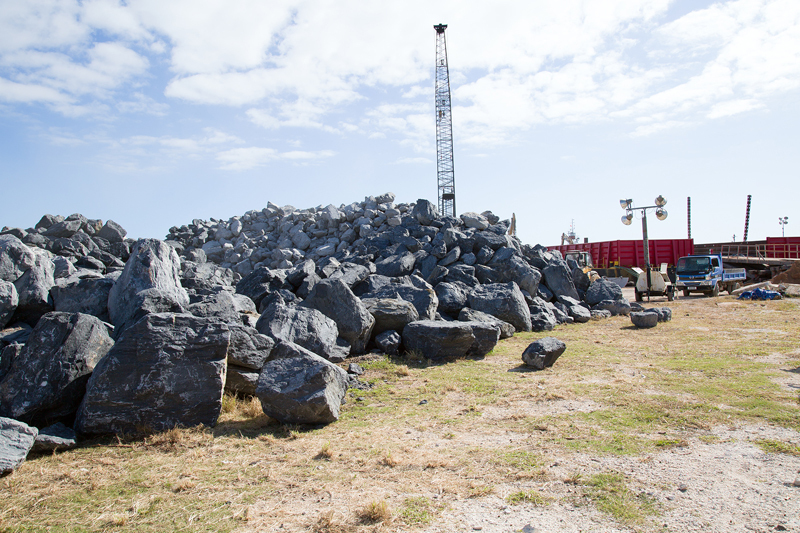 Saying that “each stone that is put in place is one stone closer to Bermuda becoming the home of a luxury product,” Caroline Bay recently received yet another shipment directly to the Morgan’s Point pier, with this second shipment of armour rock to be used to create the shoreline for the marina, which is due to open in March 2017. 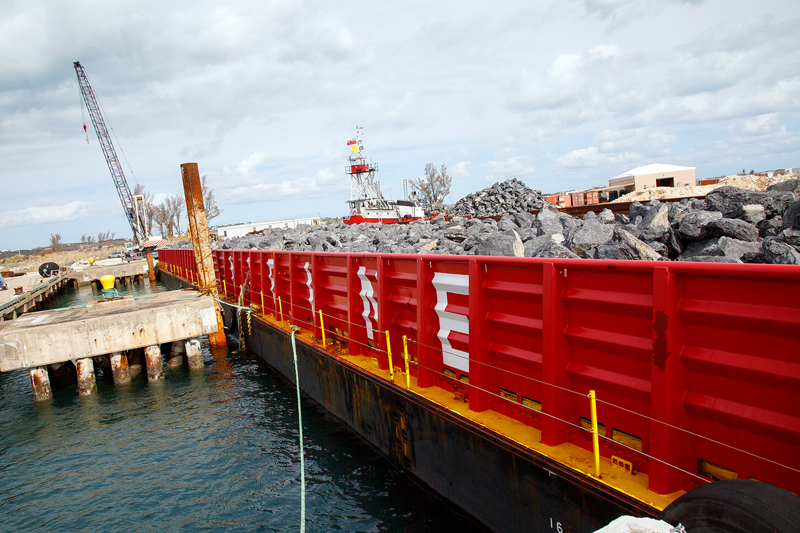 The company said, “In the spirit of forward progression, Caroline Bay, Bermuda’s up and coming five-star resort, recently received yet another shipment directly to the Morgan’s Point pier, proving that this historic project is moving in the right direction. 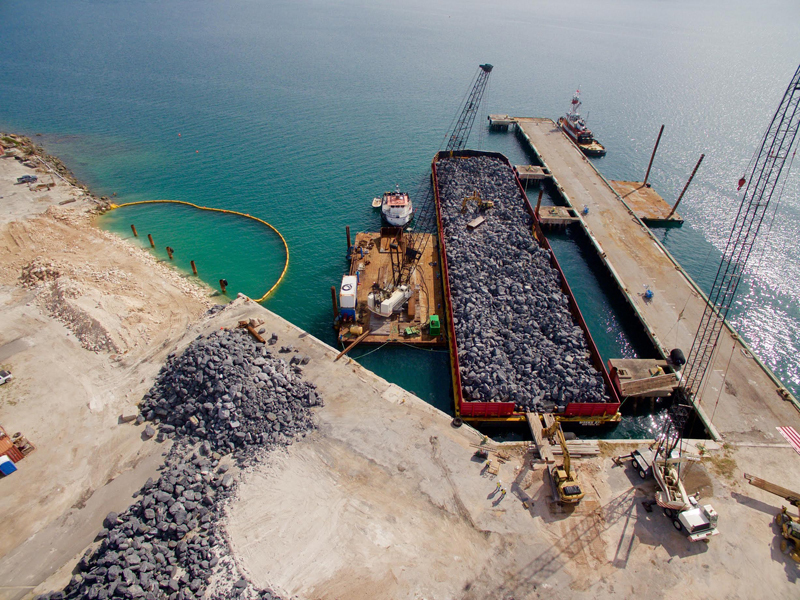 “On Friday, 28th of October, the project received its second shipment of armour rock, which will be used to create the shoreline for the marina. 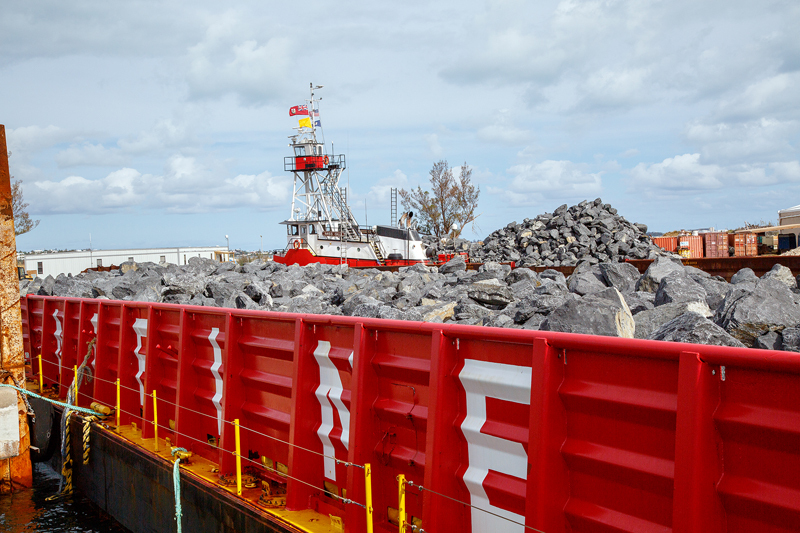 This brings a total of 11,000 tons of armour rock and 4,000 tons of bedding stone delivered to the site. 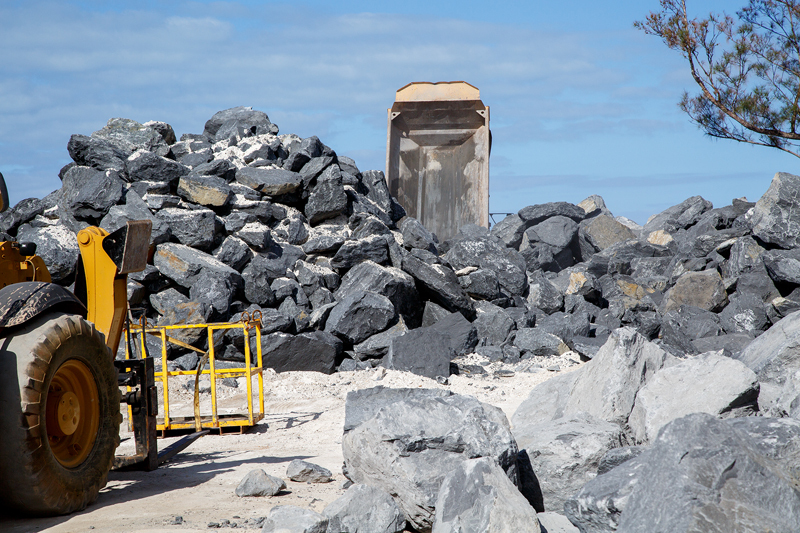 “The process of rock revetment is used to control erosion by armoring the dune face. The rock, in essence, dissipates the energy of storm waves and prevents further recession of the backshore if well designed and maintained. “A Caroline Bay spokesperson indicates that “based on the recommendation from the Smith Warner Report, the armour rock will also be used to create shoreline and beach protection along the south side of the development”. 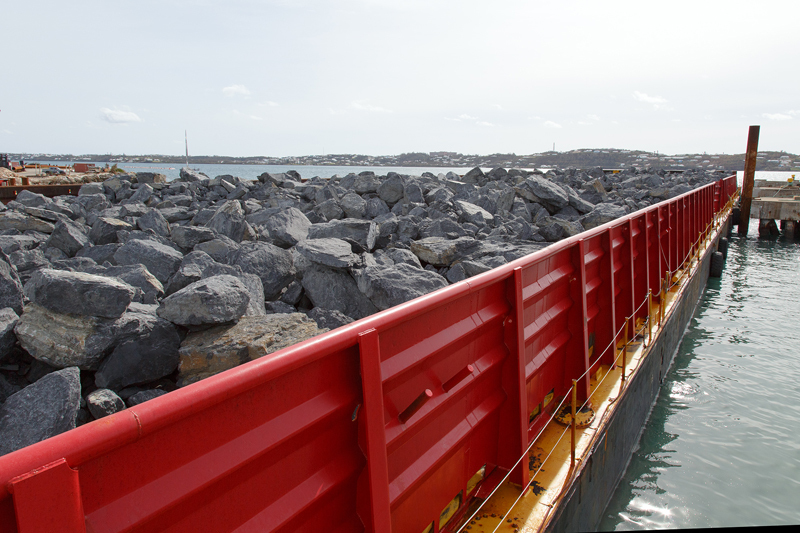 He also adds that “Smith Warner are the foremost experts in the island for foreshore protection”. “Over the next several months, the Caroline Bay developers will be working hard to ensure that the luxury marina is ready in time for the 35th Americas Cup. “President and Chief Executive Officer, Craig Christensen revealed in an early press release, that the marina is on schedule to open in March 2017, and will be able to cater to yachts of unlimited length. It is the hope that Caroline Bay Marina will not only assist with the influx of boats and yachts, but also attract and service larger yachts to the western end of the island. 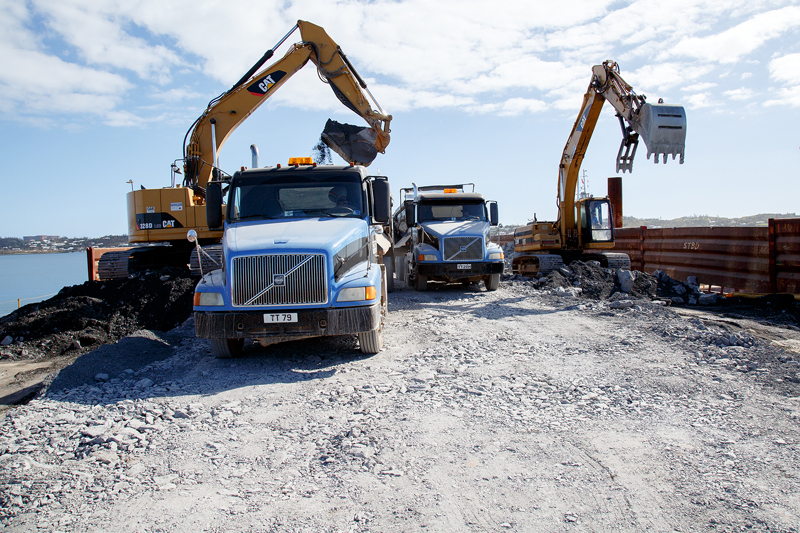 “As the Caroline Bay project continues to unfold and make steady strides to completion in 2019, the team finds it vital to continue to create jobs. Harold Conyers, the developer’s local representative for the project, recently stated that 60 employees were on site last week constructing the luxury development, 48 of them Bermudians. 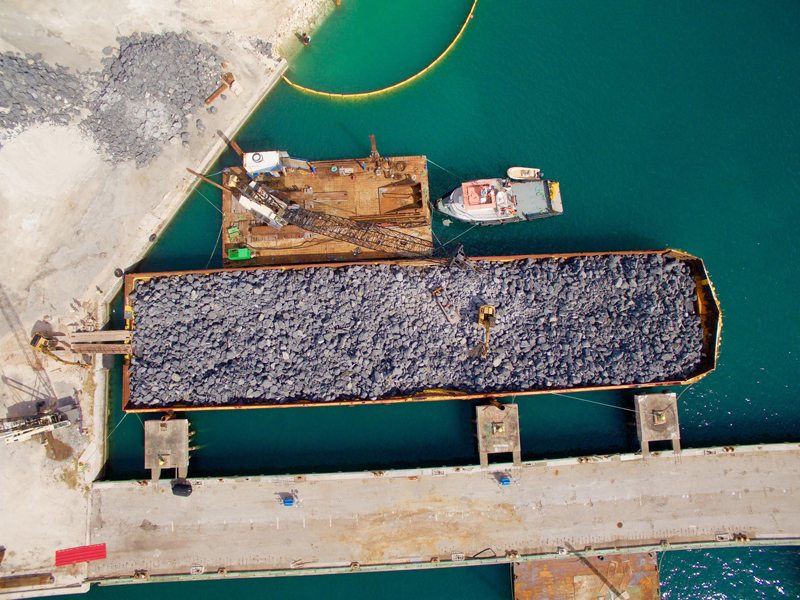 A spokesperson for the Caroline Bay project stated that “with each shipment and the continued support of the Bermuda government, coupled with the people of Bermuda’s desire for this project to succeed, the Caroline Bay development will be one that the entire country can be proud of. “The launch of the marina for the superyachts program has commenced and we are currently taking inquiries for those interested in securing a berth. It is with great pleasure and overwhelming gratitude that I would like to announce that we are already taking bookings and have spots for about 33 mega boats, but due to the superior design, we can expand the marina to hold roughly about 40 berths if need be”, says CEO Craig Christensen. Both the OBA and the PLP have fleeced this island buying rocks. this whole Morgans Point deal is so iffy it makes the fuss over the airport seem downright silly. Every penny of this development has been guaranteed by the taxpayers. None of the loans would have be given without the taxpayers backing them. All the risk is on Bermuda Government and none on the ” entrepreneurs ” ? This government ran on fiscal conservative platforms and spoke of putting the responsability back on the individual. They spoke of removing taxation and regulatory hurdles for business not flat out underwriting their friends private business projects. 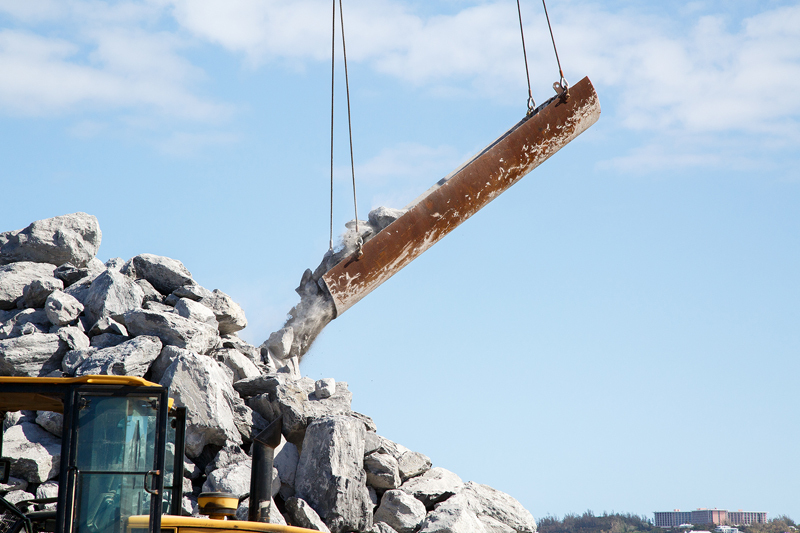 Caroline Bay isn’t a public project…. so your point is invalid. Thank you Morgan’s Point – this is a great example of how to communicate with the public and how to bring a brownfield site back to life in Bermuda – as a luxury hotel, marina and possibly casino. What a contrast to WEDCo who took a blue marine basin with a large volume of rare turtle grass and filled it in rather than negotiate with our brownfield site Morgan’s Point for hosting AC35. With no financial figures produced as to the expenses involved, WEDCo then call their project Cross Island to cover up the permanent damage they have done to our marine environment with an inadequate Environmental Impact Assessment, actions to circumvent our Bermuda Planning Process and continued empire building at WEDCo. Since all the public promises by Mr. Caines in June 2016 we have heard nothing about the promised transparency around all suggestions and applications on the future use of our Bermuda community’s Cross Island. “We want 60,000 ideas so that we know we have had the total involvement of the community in the process of trying to decide the best use of the land once the America’s Cup is over.” and he continued “The committee will engage with as many people on as many different levels as we can because we want to be engaging and as consultative over this vastly important project as we can”. Please keep up the good work communicating with our Bermuda Public Morgan’s Point – very encouraging and a role model to others. I hate to be sour here about this whole hotel thing but do we really pay the BTA head several hundred thousand dollars in salary and the best they can come up with is build a couple new hotels? We already have loads that can’t be filled and we’re building more?! To tis day there’s still nothing for the tourists to do here. I hear it everyday in dockyard over and over that theres nothing exciting for anyone to do locals included. The prices for what we do have are way to high and have lost the Bermudian touch. So what are we trying to offer as an island destination? We need entertainment daily, I mean they don’t even have the gombeys in ockyard everyday which would make sense. Where’s the calypso bands? Wedcos idea of a port is a few stalls that braid hair..come on and let’s do better. Make dockyard a free port. Legalise cannabis and lower prices because right now only a handful of these tourists want to return. Something new has to be done and I don’t think new hotels are the answers unless your idea of a vacation is a balcony with the nice view…. I wonder if they were required to perform environmental studies. If one wanted to erect 10 offshore windmills, they would be GRILLED! They were required. Public projects, especially of this magnitude, require to provide an environmental impact statement for the Department of Planning.